Throughout the collection, Cisneros explores the various roles a woman fills during the course of her life: daughter, sister, lover, mother, wife, friend. The picture she offers is bleak, with the female protagonists trapped in unhappy relationships, pregnant with unwanted children, and saddled with familial obligations and burdens. Her women tend to find strength somewhere within themselves, but often in defiance of or opposition to the men in their lives. They tend to go against the grain of what their families and cultures tell them to do, and when they don’t they have difficulty achieving happiness. At the same time, the men are depicted in a really negative light. When they’re not abusing their girlfriends/mistresses/wives, they’re being unfaithful to them or leaving them. Oddly, there’s a direct correlation between Cisneros’ men and their adherence to traditional Mexican culture: the more traditional the man, the more unhappy the woman. The final story, “Bien Pretty,” comes fairly close to subverting this…until the protagonist’s lover reveals that he has four kids from two different women — his wife and his other mistress — while trying to convince the protagonist that he loves them all equally. Obviously, this undoes any productive work Cisernos might have done with his character. I think this collection is meant to be empowering for women, and I think that on that level it succeeds. However, I still have concerns about the way Mexican men are represented. At the same time, Mexican culture is represented in a very positive light in other ways. The warmth of the kitchen, the strength of the bonds between women, the happy memories from childhood, etc. 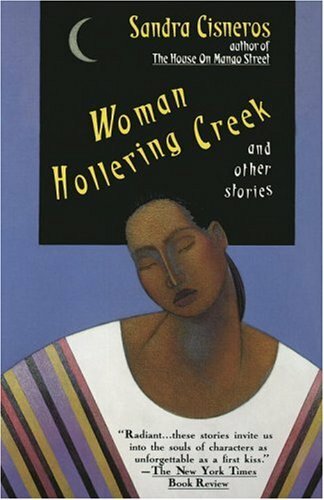 There’s a tension between these two aspects of the culture — the men it produces and the lives of its women — that might be able to be explained by a passage in the final story when the protagonist is talking about the women in the telenovelas she watches: “I started dreaming of these Rosas and Briandas and Luceros. And in my dreams I’m slapping the heroine to her senses, because I want them to be women who make things happen, not women who things happen to. Not loves that are tormentosos. Not men powerful and passionate versus women either volatile and evil, or sweet and resigned. But women. Real women. The ones I’ve loved all my life. If you don’t like it lárgate, honey. Those women. The ones I’ve known everywhere except on TV, in books and magazines. Las girlfriends. Las comadres. Our mamas and tías. Passionate and powerful, tender and volatile, brave. And, above all, fierce” (161). My favorite is "Barbie-Q." Also, have you seen the video of her reading "Eleven" live? Heartbreaking and hilarious. We watched it in my ethnic studies class last year…you should check it out on YouTube.